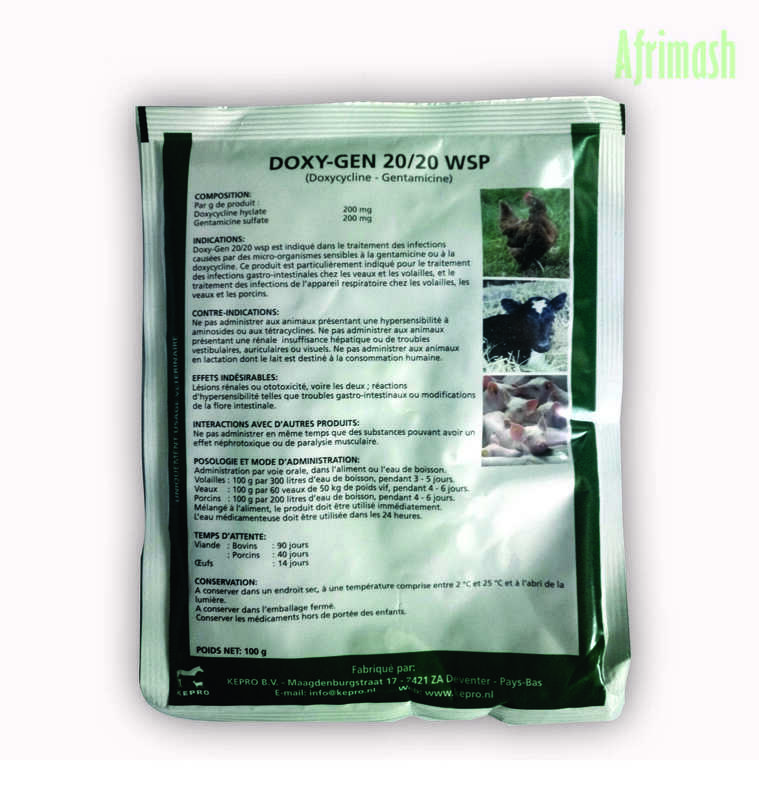 Doxy-Gen is used to combat gastrointestinal infections in calves and poultry as well as respiratory tract infections of poultry, calves, and pigs. 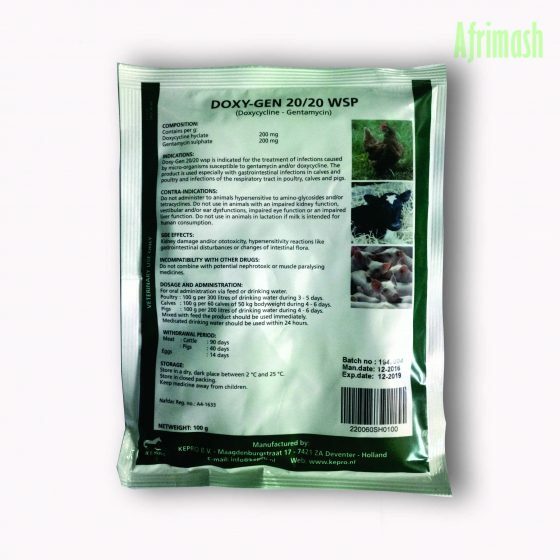 Doxy-Gen 20/20 wsp is indicated for the treatment of infections caused by micro-organisms susceptible to gentamycin and/or doxycycline. a. Hypersensitive to aminoglycosides/or tetracyclines. b. With impaired kidney, eye and liver functions, vestibular and/or ear dysfunctions. c. Lactating animals (if milk is intended for human consumption). For oral administration via feed and drinking water. Poultry: 100g per 300 liters of drinking water within 3-5 days. Calves: 100g per 60 calves of 50kg bodyweight within 4-6 days. Pigs: 100g peer 200 liters of drinking water within 4-6 days. When mixed with feed, Doxy-Gen should be used immediately. Store in a dry, dark place between 2oC and 25oC. Store in closed packing, away from air.